Home > FAQs > Basics > Do I need a Cantonese translation or a Mandarin translation? My manager says she wants a marketing document translated into Chinese but I don’t know if that means I need it in Mandarin or Cantonese, can you help please as I’m really confused? What a great question – it’s something which comes up all the time so don’t worry, we can help. First of all, let me clear up a bit of confusion over what Mandarin and Cantonese are because it may come as a bit of a surprise that they are not actually separate languages – they are more akin to spoken accents (or dialects) of the same Chinese language. So, if you think of a British person from London speaking English, they will sound very different from someone who was brought up in the north of England, say, Newcastle. They are both speaking English but they will sound very different. Now consider someone living in Hong Kong and someone living on the mainland in the capital of China, Beijing. The person living in Hong Kong will speak with a Cantonese dialect and the person from Beijing – or anywhere else on the mainland – will speak with a Mandarin dialect. It’s the same language but they will sound very different. Someone from Hong Kong will most likely be able to understand someone they met from Beijing but their accents will be different. The key thing to note is that Mandarin and Cantonese describe spoken words, not written words. People from Hong Kong (and Guangdong province of China) speak Cantonese, people from mainland China (plus Singapore) speak Mandarin. Now that’s hopefully a bit clearer let’s talk about another couple of terms you’ve probably heard mentioned, ‘Simplified Chinese’ and ‘Traditional Chinese’. People often get confused between the two and assume that Simplified Chinese is the same as Mandarin or Traditional Chinese is the same as Cantonese (or the other way around) but that’s not really the case. As we now know, Cantonese and Mandarin are just accents or dialects and do not relate directly to Traditional or Simplified Chinese which are different ways of writing Chinese – different ‘alphabets’ if you like. As any student of Chinese will testify, Chinese characters are very complicated; its difficult to remember them and write them down. In fact they are so difficult – even for people born in China – that during the 1950s and 1960s the Chinese government created simplified versions of them to make them easier to remember and write. The characters which make up this new simpler ‘alphabet’ are known as Simplified Chinese and they were widely adopted amongst people living on the Chinese mainland and Singapore. They did not catch on in the same way in Hong Kong and Taiwan where people continued to use the original, more complicated Traditional Chinese. People from Hong Kong (and Taiwan) read and write Traditional Chinese characters whereas people from mainland China (and Singapore) use Simplified Chinese characters. 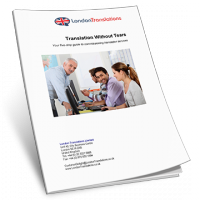 If your document is aimed at the Hong Kong or Taiwanese market then you should have it translated into Traditional Chinese whereas if your document is aimed at the mainland Chinese or Singaporean market then you should have it translated into Simplified Chinese. I hope you found that useful, if you need any more help just let us know.